Traced back to Roman times, the ancient art of dry curing ham is ardently woven into Spanish culture and this delicacy remains an alimental essential throughout Spain to this day. Making Jamon (Ham) Serrano (Mountain) is a specialized, natural and lengthy (at least one year) curing progression that starts with salting fresh white pig hocks to draw out excess moisture before hanging them to dry. Originally Jamon drying sheds were built at high altitudes (thus being called “Serrano”) to take advantage of Spain’s cold, alpine winter air which transitions into temperate, dry summer air. 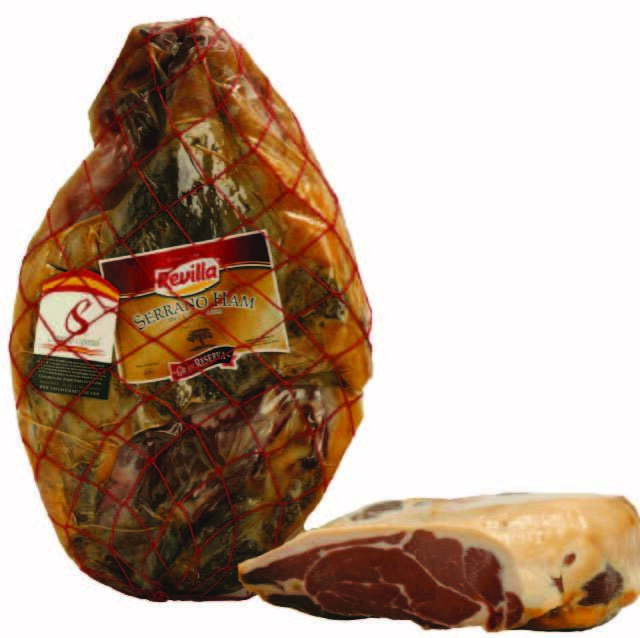 The gradual, seasonal process results in very low moisture ham that gracefully ages into its wonderfully sweet flavor. Today’s Jamon Serrano drying facilities can be built anywhere in Spain as technological advances can precisely mimic perfect drying conditions for each season and erase any weather anomalies—yet, exquisitely maintain the traditional Spanish taste and high quality that is cherished as much today as it was centuries ago. Application: Whether enjoyed alone, for tapas, with fresh fruit, in sandwiches, quiches, grain and potato based dishes, the unique and unmistakable taste of Jamon Serrano adds a delightfully sweet panache to any culinary experience. Pairing: Spanish wine- full stop. For whites, an Albariño and Verdejo are recommended. For reds, seek out a lighter style Rioja as heavy reds can overpower the subtle charms of Jamon Serrano. For true tapas, get hold of a dry Manzanilla or Fino sherry and serve it chilled. Red quinoa, just like its blonder sibling, is a complete protein, highly valued for its many nutritional virtues, versatility in cooking and great taste. Del Destino’s more colorful ultimate ancient grain is cultivated from Peruvian wheat fields and can be substituted for rice in any culinary application, immediately elevating the dish’s amino acids, calcium and iron content. 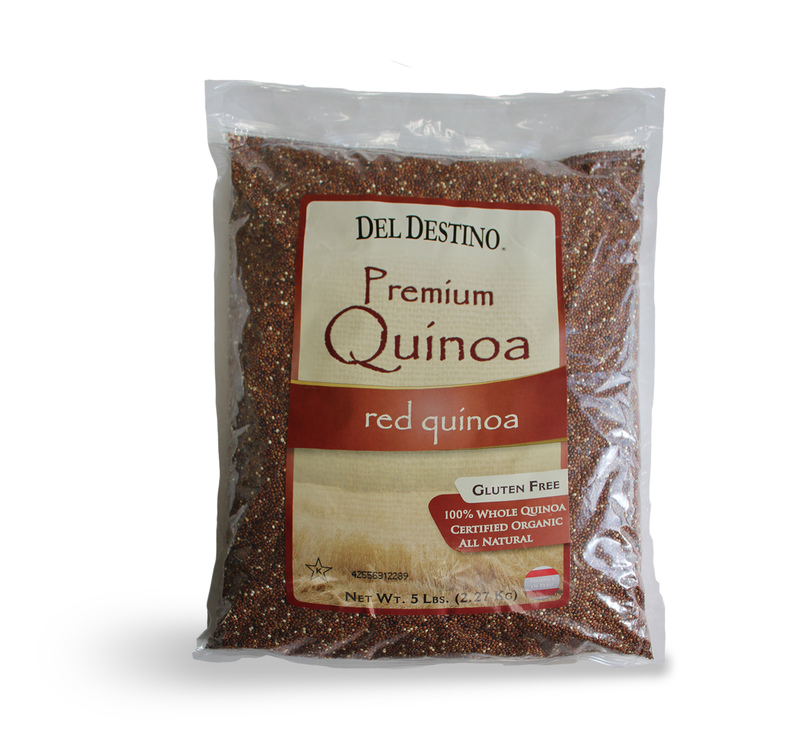 Easy to prepare, Del Destino Red Quinoa has a slightly sweeter and earthier flavor than White Quinoa when cooked and is ideal for salads, soups and stews but also adds a nutritious, delicious twist to desserts and baked goods.